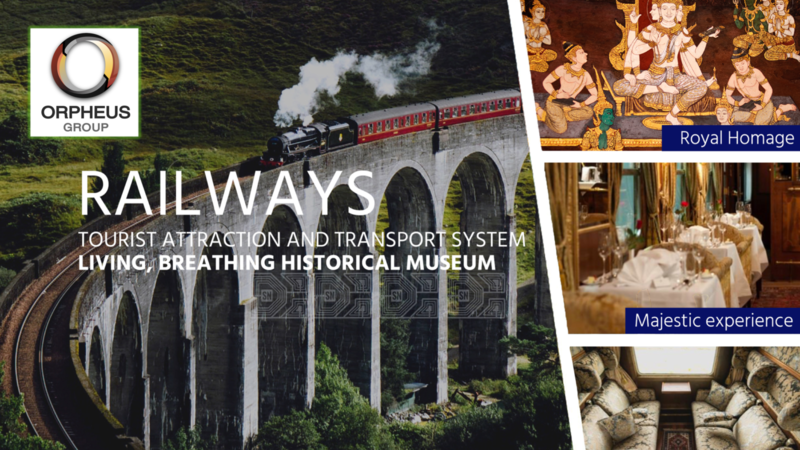 Laos is entering a new chapter in it’s history, and is growing to function as a major hub connecting the CLMVT region. Over the past few decades there has been an increasing focus on ‘sustainability’ initiatives like recycling and transitioning to alternative energy sources, coupled to tourism objectives, waste energy fuels generation, organic farming and sustainable development for the generations to come. Strategic development has been a careful process from the Lao Government offices in the country’s capital Vientiane and coordinated into the provinces and across the municipalities. As the project takes form, there are many growth opportunities that are being coordinated to cater for increasing tourism and sustainable business, balancing environmental and biodiversity attributes with social community programmes. In June 2018 progress on the China-Laos Railway passed an historical milestone as tunnelling continues to create the first railway connecting China to Thailand through the Lao Peoples Democratic Republic, also known as Laos. 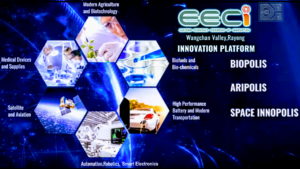 This vital transportation link serves part of the infrastructure projects that will connect the CLMVT region to China bringing a new prosperity and expanding on Thailand’s 4.0 Eastern Economic Corridor (EEC). Part of the massive undertaking involves constructing the world’s tallest bridge. The Yuanjiang Bridge spans over the Yuanjiang River. Once completed, trains will be able to travel from Yunnan’s Yuxi City to Mohan City before entering Laos. It is designed to be 832.2 meters long and supported by six piers, with the tallest 154 meters. The total span of the bridge girder is 249 meters, a world record. “This Yuanjiang Bridge is more than 300 meters long from the NO. 0 pier to the closing point. To guarantee construction precision, the engineering companies will use a series of new technologies, including BIM (Building Information Modeling), some GPS measuring techniques and some advanced equipment, three-dimensional lifting jacks, vertical and horizontal scanning correction devices, and other innovative technologies. The use of all these new technologies and devices guarantees that the error of closing will be within 5 millimeters,” said Xie Lu, chief engineer of the fourth branch of Yuxi-Mohan railway from China Tiesiju Civil Engineering Group Co.,Ltd. Construction of the bridge started in April 2016, but the depth of the river valley and the wind speed all posed great obstacles for the job. “The main pier is supported by 35 pillars each with a diameter of 2.5 meters and a foundation as deep as 75 meters. That is to say the foundation has to be 75 meters in depth. This is a key point in our construction,” said Zhu Pinghua, chief engineer of the project department of Yuxi-Mohan railway China Tiesiju Civil Engineering Group Co.,Ltd. With the girder designed to weigh 120,000 tons and beams 21,000 tons, the girder base will support roughly 150,000 tons of weight, when there is no train traveling. In addition, the geological condition underground is very fragile. Working together Stark Networks provides expert advisory and consultancy services to Orpheus Group. Orpheus Group has launched a portfolio of projects with a range of sustainable growth opportunities, and in private public partnerships they are working hand-in-hand with the governments of Thailand and the LPDR. 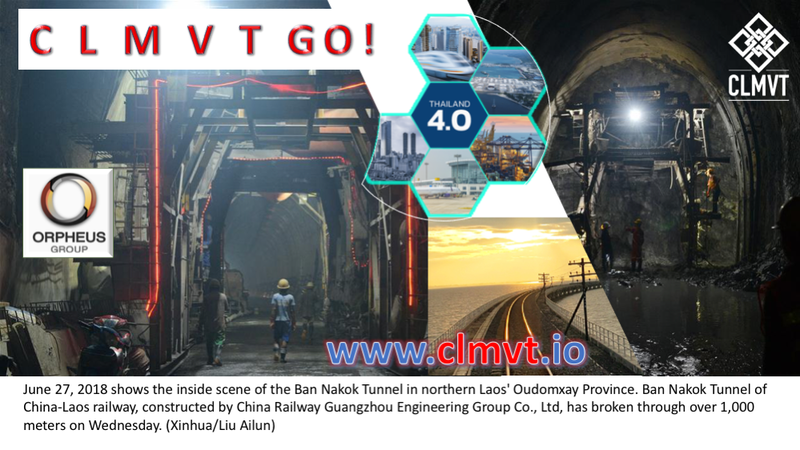 The CLMVT projects are focused to bring a host of environmentally conscious infrastructure and development projects to provide products and services to the regions growing demands. Construction of the China-Laos railway, one of the key cooperation projects between the two countries has been underway for a few years since being formally announced in late 2015, and the line is scheduled to go into operation by the end of December 2021. The combination of greater transportation links forms new networks of routes linking the CLMVT countries to their neighbours. The 414-kilometer section of railway will link Boten, the northern Lao town bordering southwest China’s Yunnan Province, and Vientiane, the capital of Laos. According to plan, the China-Laos railway will be extended further South to link into the new Bang Sue Central Station transportation hub in Bangkok, the capital of Thailand. And this construction will connect the Chinese railway network to Thailand’s EEC development plan. It also forms a vital part of the Trans-Asian Railway, a project designed as an integrated railway network across Europe and Asia. Further development will upgrade rail links from Thailand, through Malaysia and into Singapore. The projects in the CLMVT regions play an exemplary role in the Belt and Road Initiative showcasing the enhanced connectivity among China, CLMVT and other Southeast Asian countries. Orpheus Group and Stark Networks AG are proud to be supporting these infrastructure initiatives through the CLMVT regional structured portfolio. For more information please refer to the social media links and websites referenced in this article.